Located in the tranquil Arbor Glen community, this townhouse offers an updated contemporary interior, private patio, and flexible living spaces. 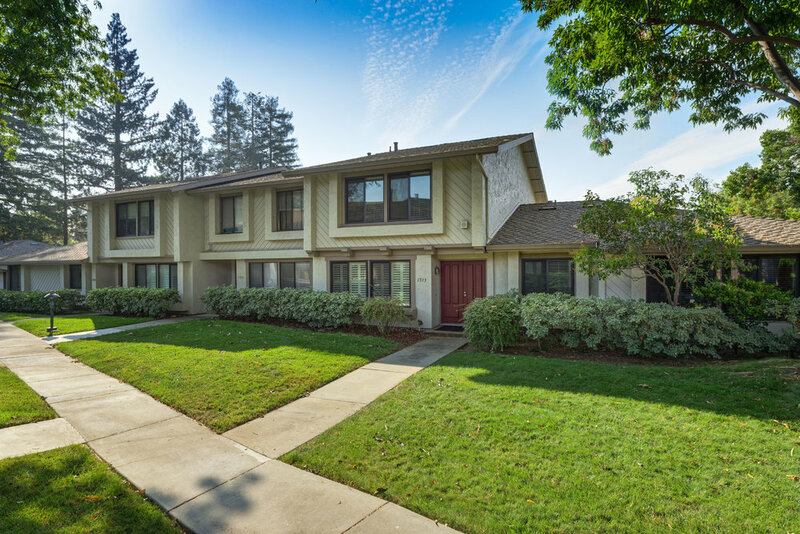 Close to Willow Glen Town Square and Los Gatos Creek trail, and an easy commute to top tech companies in the area. The community is a park-like blend of lush grass and trees, complete with a pool, hot tub, and bbq area. Inside, the spacious living room is outfitted with updated double pane windows and plantation shutters, recessed lighting, and woodgrain flooring. The dining room can also be arranged as a flexible living space, with easy access to the kitchen and out to the private backyard patio, which features brick pavers, raised deck, and landscaping. The completely updated kitchen welcomes any chef with stainless steel appliances, updated cabinets with matching brushed nickel hardware and fixtures, and recessed lighting. New carpet guides guest upstairs to the bedrooms and shared bathroom, with new tile and updated vanity. The large master suite is comfortable and welcoming, offering a ceiling fan, walk-in closet, and separate private bathroom with updated shower and bench seating. Additional amenities include a 2-car garage plus off-street guest parking, interior washer/dryer room, and A/C and heating.